attitude of respect of college property. 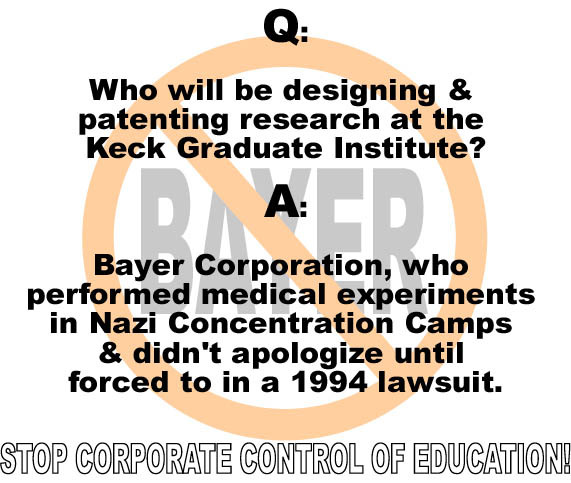 Bayer, Du Pont, and Genentech are three of KGI's corporate sponsors. 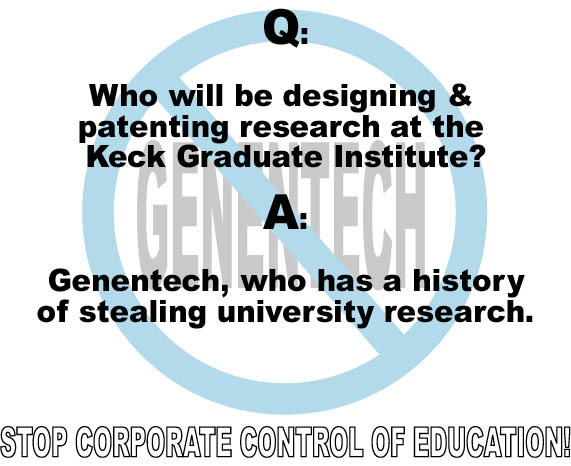 As such, they will be directing KGI research, setting KGI policy, and keeping patents from KGI research. 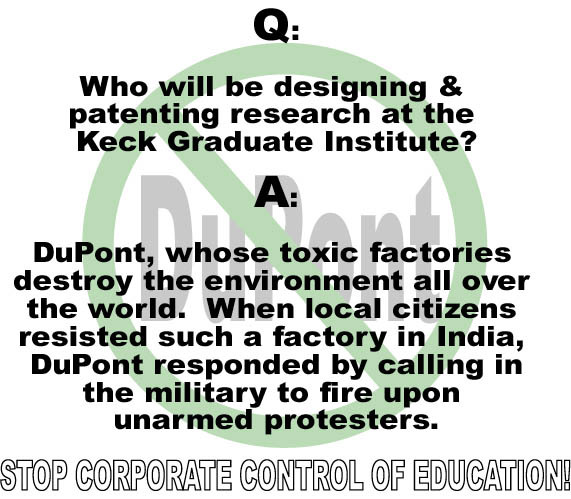 Du Pont's corporate web page. 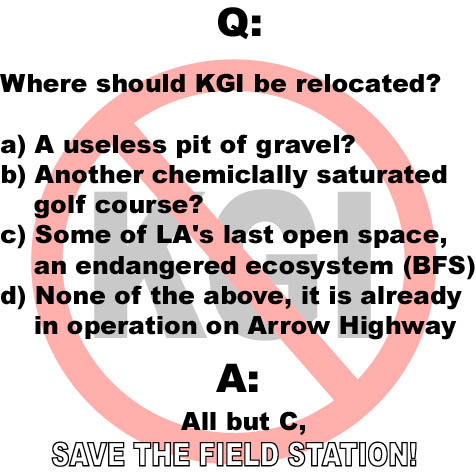 The colleges own the Claremont Golf Course and a gravel pit, both of which are superior sites for building KGI, as mentioned in the city's Environmental Impact Report. 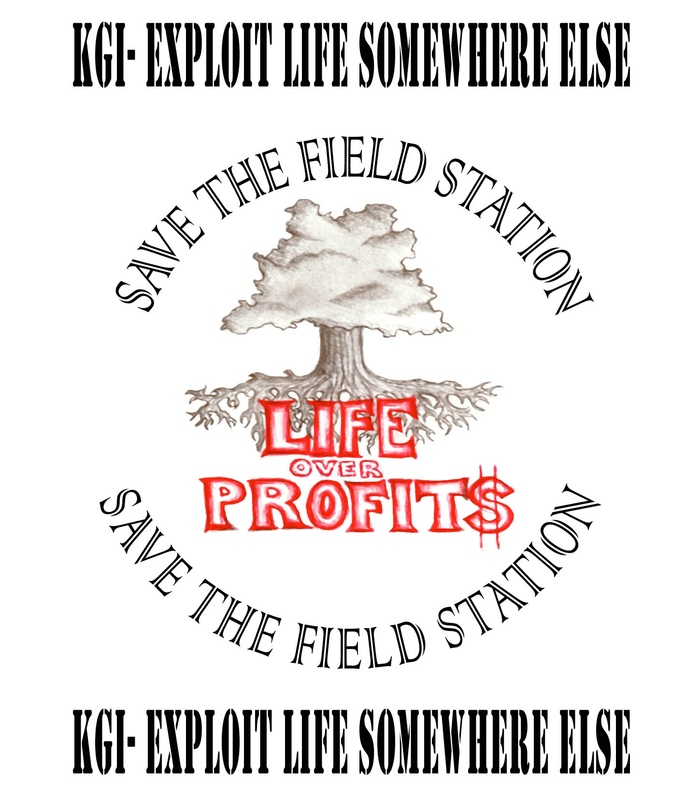 Furthermore, KGI is currently in a state of the art facility on Arrow Highway, in which they have already invested millions of dollars. 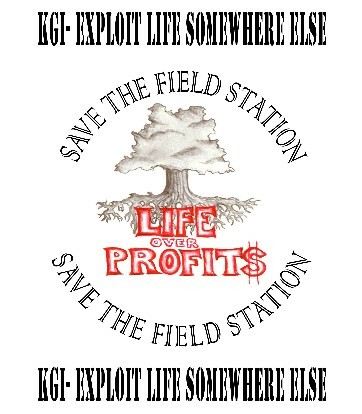 Yet they want to build on an endangered ecosystem? 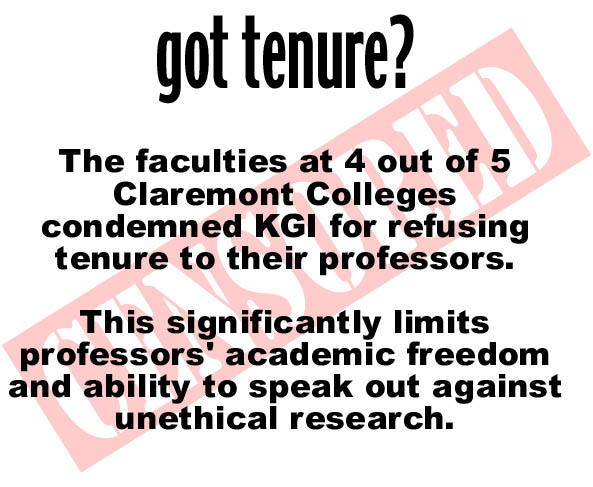 KGI will not be offering tenure to its faculty, thus limiting their ability to criticize the institution. 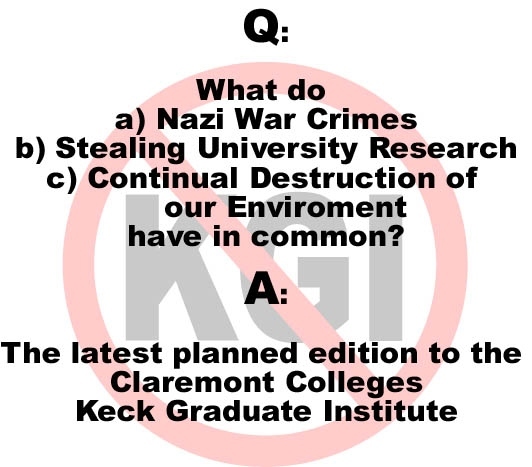 Read the faculty resolutions of the other Claremont Colleges here.